Once upon a time in a galaxy far far away, business owners could just design a static brochure-like site and call it good. Many would then leave their site alone for years at a time, with no updates or fresh content. However, the search engines have kicked into gear with standards that just do not allow this any longer. Today’s business websites must be kept current, creative and dynamic. Remember, a business is competing with tons of other businesses in the area for the exact same customers. Would you send in a toddler with a rubber band gun to defeat Darth Vader? I don’t think so. The best way to win over customers for your business is to have clear, useful content that is constantly being refreshed. While we don’t need to know whether you are a dog or a cat person, people want to know that they are dealing with a human being. If you are a plumber, and all you put on your site is plumbing facts that can be found on any wiki, it is likely that no one will choose to do business with you. Make your content unique so that you stand out from the competition. Personalizing your writing to your business philosophy, personality and brand not only creates a memorable impression upon readers; it helps everyday people relate to you as more than just some big business trying to get money from them. This can help build the trust you need for a stable customer base. Customers are most likely on your site looking for a solution to some type of problem. If all you have to tell them is that you are the “best HVAC company in the area” then they probably won’t be convinced. They need to know if you provide the services they are looking for and if you have proof that you ARE the very best company for them to choose. Be sure to highlight good points about the company, but beware of fluff. Your customer will not care that you say you are the greatest HVAC service ever unless you have an award to back that up. It is better to showcase knowledge than ego. Have you ever heard doctors or lawyers talk to each other? It’s pretty hard to understand isn’t it? A common mistake that many professionals make is showing off their knowledge of medical and legal terminology on their website. They believe this will make them sound knowledgeable, and customers will choose them because of it. This couldn’t be further from the truth. If the average reader cannot understand what you are trying to communicate to them, they will get frustrated and most likely leave your website. A consumer wants to be able to tell in just a few seconds if you offer the services he or she is looking for and if you have a good track record. If there is nothing plain and clear to convey this on your site, then they have absolutely no reason to pick you. Keeping content fresh and updated should never be underrated. The simplest way to do this is to have a blog on your site that you update a couple times a week. Here you can discuss new services you offer, special promotions, or simply give your customers tips. This is another sure way to keep a potential client on your site. The more interesting content there is to read, the longer they read. The longer they read, the more likely they are to convert to a customer. 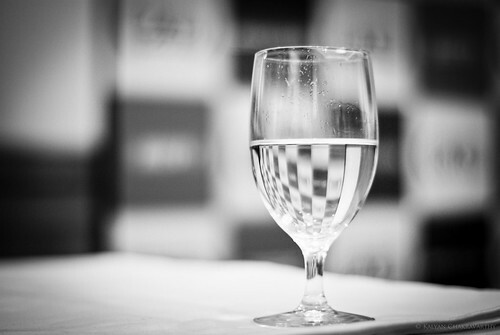 Lastly, but perhaps most importantly, write your content like the glass is half full instead of half empty. Potential clients don’t want to hear that if they don’t call your awesome plumbing company right now their house is going to blow up. Listing a bunch of negative effects for not choosing to do business with you is not good business at all. People are most likely to click away. Consumers look for a benefit to everything. Be positive, and mention the benefits of signing up for plumbing maintenance with you instead of telling them everything that can go wrong if they don’t sign up. By following these simple tips, you can be a content writing Jedi in no time. Always remember; Google and other search engines love content that readers love. If you aim what you write directly at your customer base and keep it updated, you are more likely to get on the first page of searches.